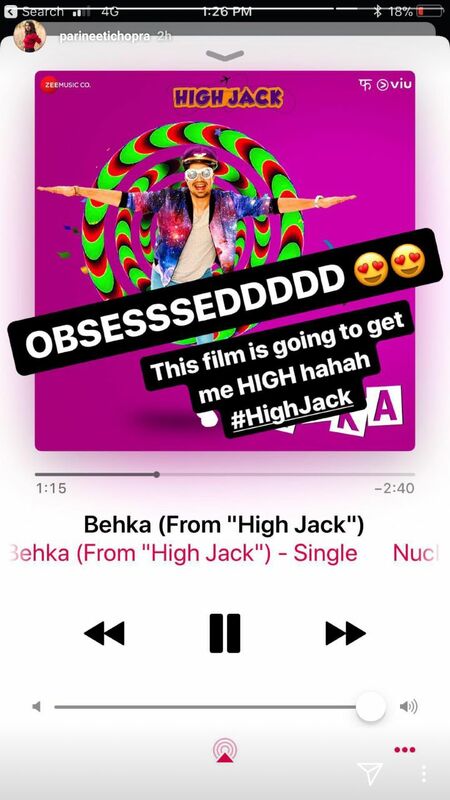 India’s first stoner comedy ‘High Jack’s first song which released yesterday is already on loop in Prineeti’s playlist. 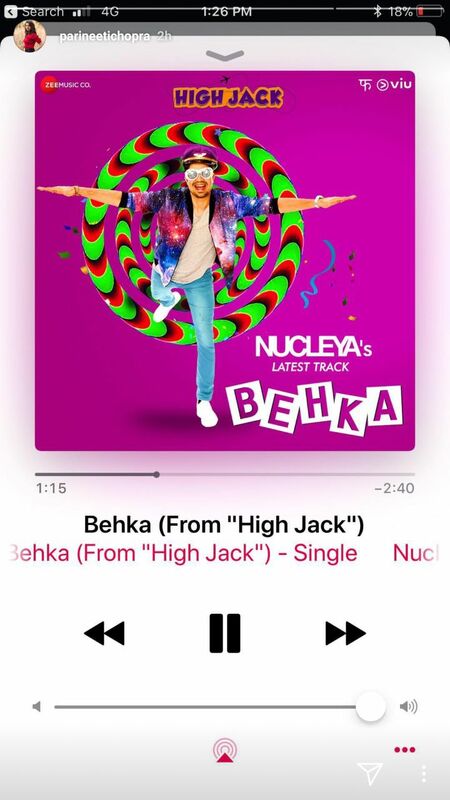 Behka composed by Nucleya has gone viral since the time it is released and seems like High Jack fever has gripped Parineeti too. Parineeti Chopra took to her social media and posted various images and how she is already ‘Obsessed’ with the song and its music. 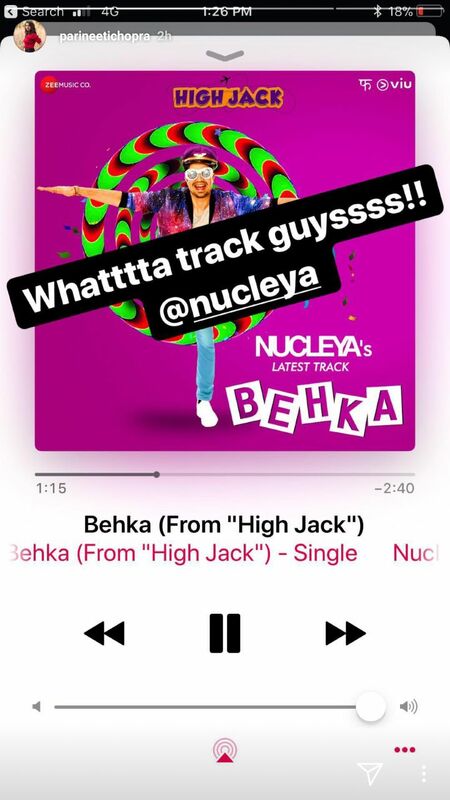 The flashy number is sung by Vibha Saraf and is composed and produced by the music sensation Nucleya. 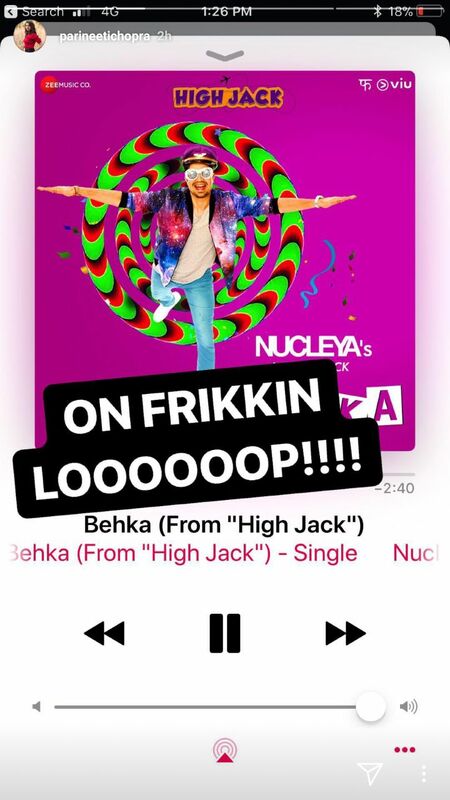 Nucleya, the undisputed king of Bass music has added his signature sound along with catchy tunes making the song even more wrecked. ‘Behka’ showcases series of events taking place after Sumeet getting high. The song features Sumeet along with Sonnalli Seygall and other star cast party their heart out in a trippy environment. Bollywood Actors You Need to Follow on Instagram for Fitness Inspiration!